The S and L track massage has a range that starts from the neck down through the glutes to the hamstrings. 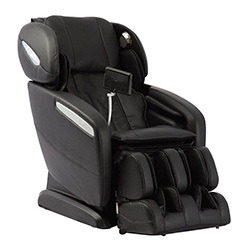 The Osaki Pro Maxim has combined both the S & L track systems to deliver an incredibly consistent massage. 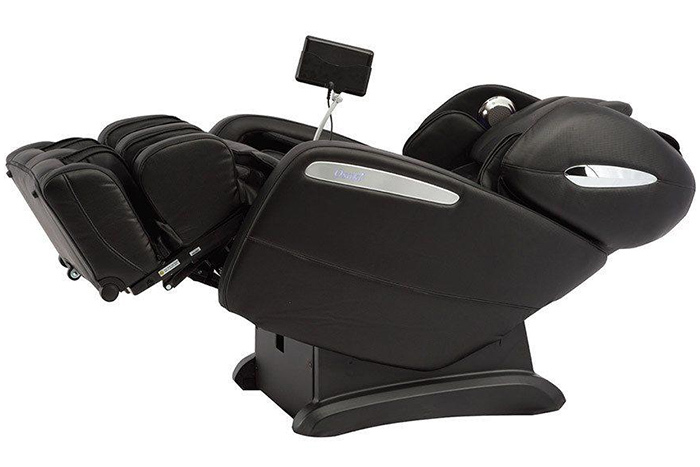 Before initiating any preset program, the chair will conduct a body scan, mapping the key areas of the neck and back, ensuring a consistent amount of pressure while applying the massage. The scanning technology will also detect the user’s shoulders height, which can be recalibrated soon as the scan is complete. If the user desires a higher or lower starting point, they will have 10 seconds after the scan is complete to adjust. Dimensions: Upright Approximately - H. 45.3" W. 31.1" D. 63"
Dimensions: Reclined Approximately - H. 35.4" W. 31.1" D. 78.7". Standard 3 Year Osaki Factory Warranty. One Year Parts and Labor. Two Year Parts. Three year Structural. 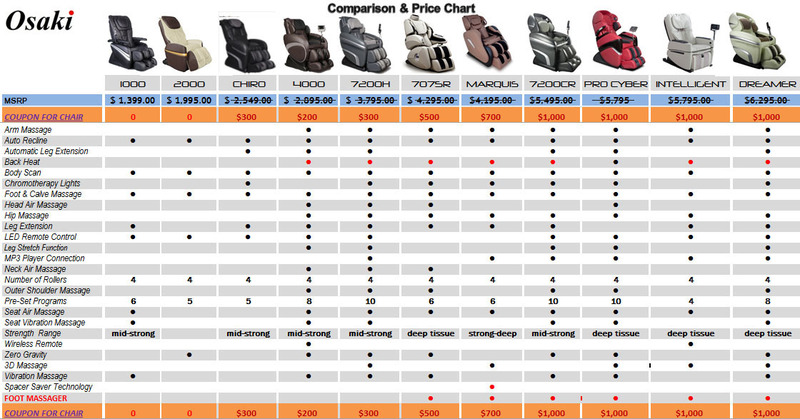 Add $295 for WHITE GLOVE In Home Delivery, Setup and Box Removal for Chairs in the Continental USA. The SL track massage has a range that starts from the neck down through the glutes to the hamstrings. 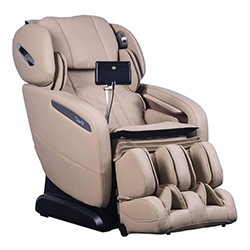 The Osaki Pro Maxim has combined both the S & L track systems to deliver an incredibly consistent massage. 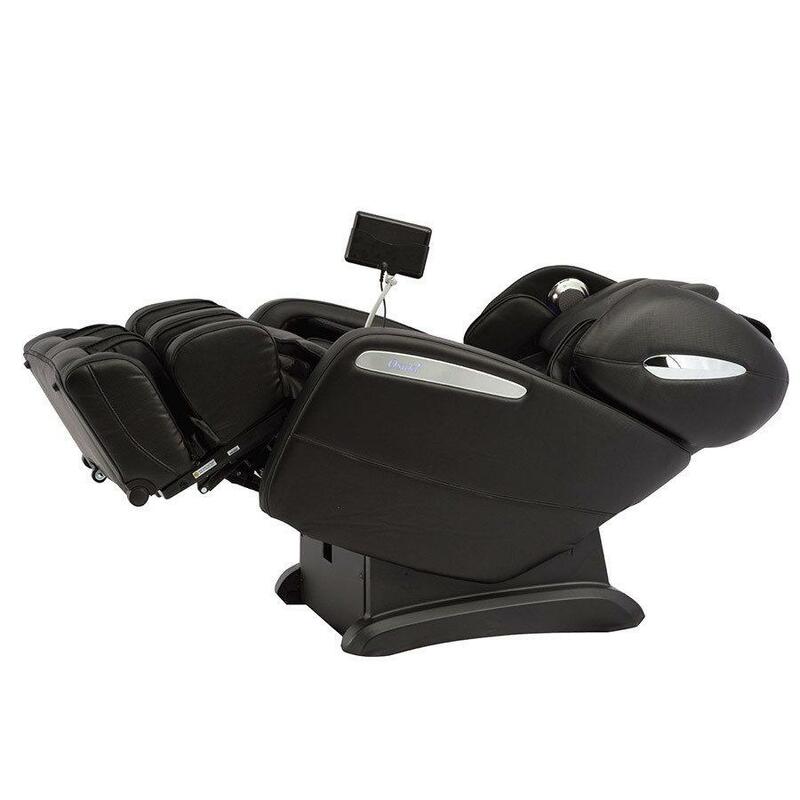 Before initiating any preset program, the chair will conduct a body scan, mapping the key areas of the neck and back, ensuring a consistent amount of pressure while applying the massage. The scanning technology will also detect the user’s shoulders height, which can be recalibrated soon as the scan is complete. If the user desires a higher or lower starting point, they will have 10 seconds after the scan is complete to adjust. No more wasting time downloading apps and fusing with syncing your personal device. The Osaki Pro Maxim is integrated with a touch screen tablet remote, that operates the all the functions and displays what the chair is doing in live time. 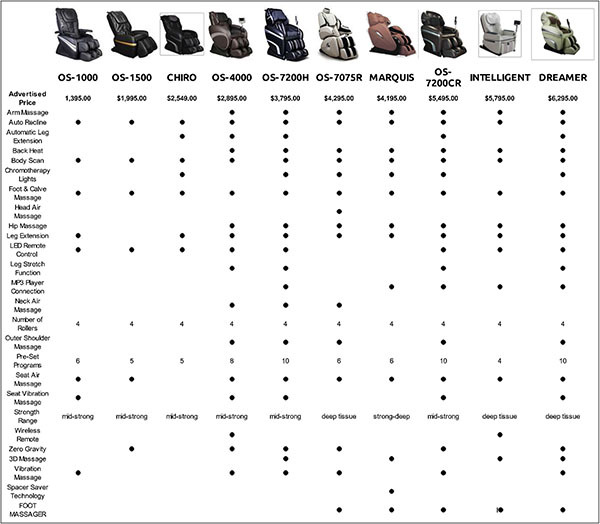 The images and buttons make it easy to use and operate. The power button is discretely located on the top right of the tablet to turn off or on. 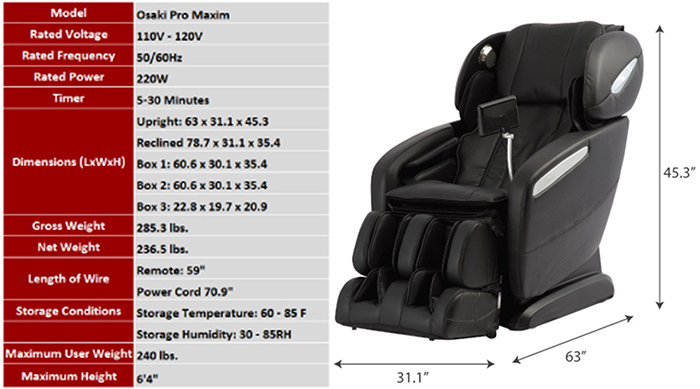 The Pro Maxim has 2 heating pad located around the lumbar area. 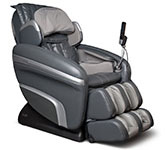 The heat enhances the feel of the rolling massage. 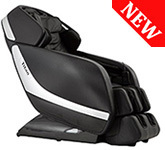 The vibration plate in seat provides a high frequency massage on the back of the thighs. The vibration and heat can be independently turned off or on by using the functions on the remote. 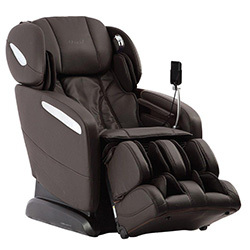 The Osaki Pro Maxim offer 12 unique pre-programed massages. Stretch – Stretching the back, legs and arms by inflating the airbags grabbing the ankles and pulling. Health – Lower Back massage with a soft kneading and strong tapping. 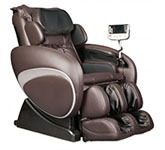 5 UNIQUE MASSAGE STYLES The Osaki Pro Maxim offers 6 different massage types. Swedish, Tapping, Shiatsu, Clapping and Rolling. 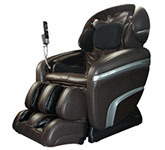 The speed of the massage can be increased to 5 different speeds and 3 different widths on certain massage styles such rolling and tapping style massages. 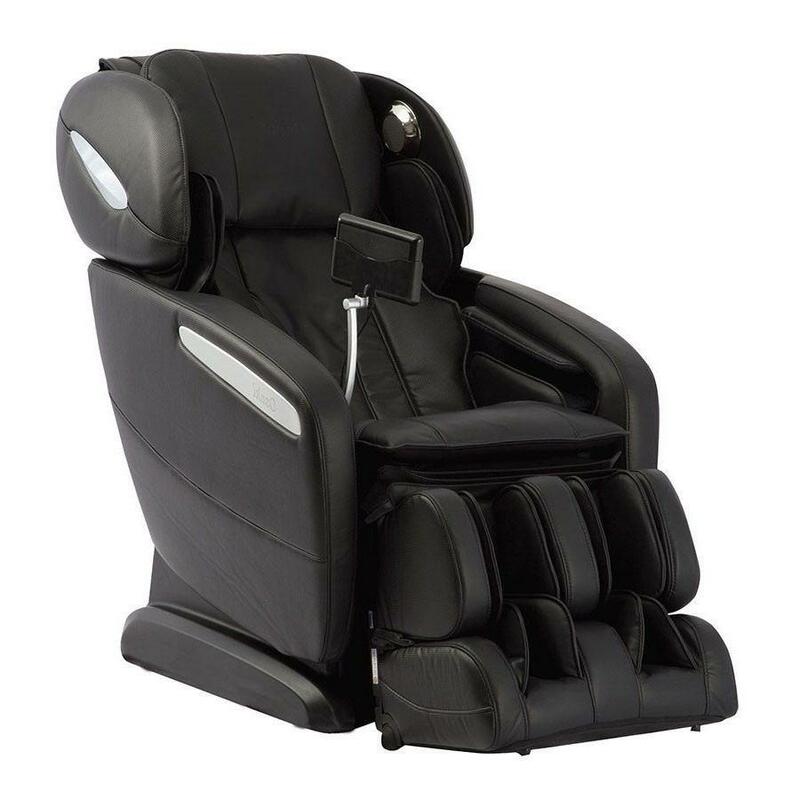 The Osaki Maxim is equipped with Bluetooth technology, allowing the user to listen to their favorite songs and answer calls on high quality speakers located on both sides of the headrest. 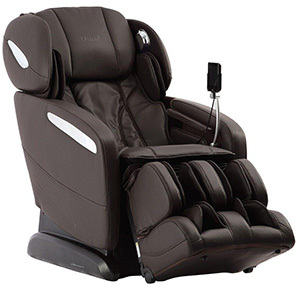 The sound is directed to concentrate towards the user of the chair. This will reduce the audio volume of its surroundings. Located around the speaker casing and the side panels are LED lights that illuminates a cool blue color. When the room lights are dimmed and the surroundings are dark, a blue lighting will cast on the chair and its surroundings. Studies have shown, certain colors can affect the mood of a person. Blue is known to have calming and relaxing properties. 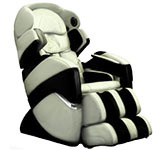 In the manual you have the freedom to customize your massage the neck to the feet. 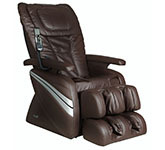 For the back massage select from one of the 5 different massage types. The location of the massage can range from full back, partial (half sections) and spot which concentrates on one specific area. 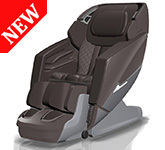 The airbags massage can be isolated from the shoulders, arms, back and foot/calves. The air intensity can be adjusted to 3 different strengths, mild, medium and strong. 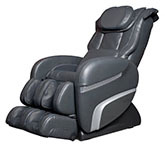 In the manual mode you can select one style of massage in combination with any of the air massage, vibration and heat functions.